Ten night tour to The Japan - Tokyo, Hakone, Toyama, Osaka, Kyoto. Arrive Tokyo - Arrive at Narita Airport. Our guide will assist you at the Airport and later transfer to Hotel by private coach. Check in to the Hotel (15:00 Hrs). After breakfast proceed towards the sightseeing of Tokyo. Tokyo Skytree (360 Mts) - The Tokyo Skytree is a television broadcasting tower and landmark of Tokyo. 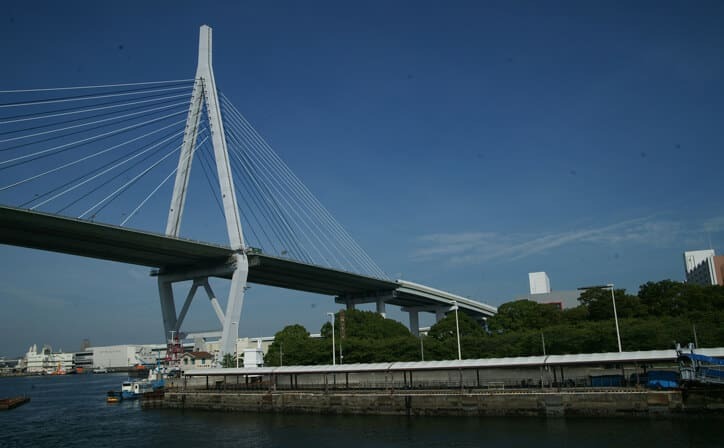 it is the tallest structure in Japan and the second tallest in the world at the time of its completion. Asakusa Temple and Inside Bazar– It is an ancient Buddhist temple located in Asakusa, Tokyo, Japan. It is one of Tokyo's most colorful and popular temples. Ginza district was the site of a silver coin mint (Ginza means silver mint in Japanese), after which the district was eventually named. Most shops in the Ginza district are open every day of the week. Imperial Palace Drive by– These beautiful gardens are located outside of the Imperial Palace. Access to the gardens is open to the public although the palace itself is off limits. Breakfast at the hotel. 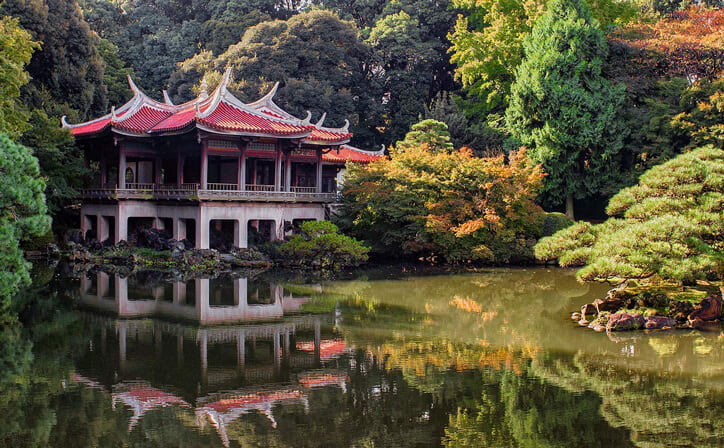 Today is a Day free for you to discover Tokyo at your own pace. Breakfast at the hotel. 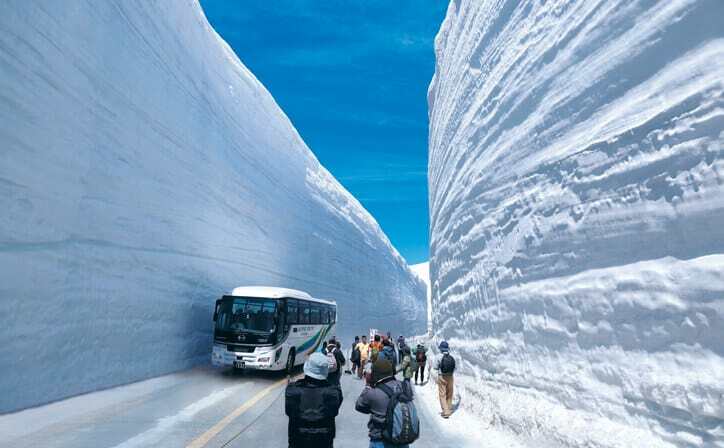 Proceed to Nikko by coach. Toshogu Shrine is the final resting place of Tokugawa Ieyasu, the founder of the Tokugawa Shogunate that ruled Japan for over 250 years until 1868 Lake Chuzenji is a scenic lake in the mountains above the town of Nikko. 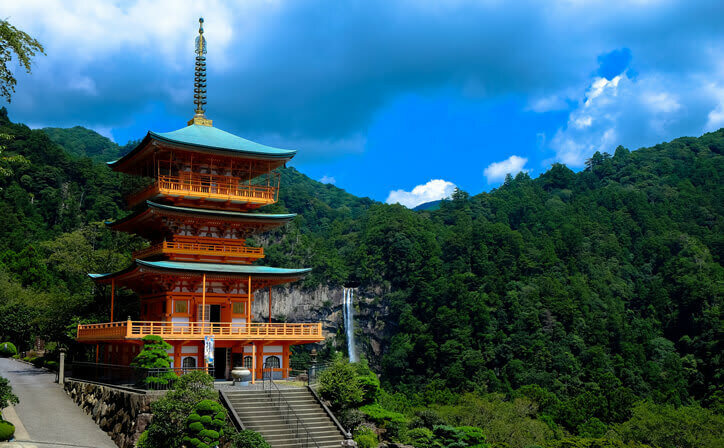 It is located at the foot of Mount Nantai, Nikko's sacred volcano, whose eruption blocked the valley below, thereby creating Lake Chuzenji about 20,000 years ago Kegon Waterfall is the almost 100-Meter-tall most famous of Nikko's many beautiful waterfalls. In fact, it is even ranked as one of Japan's three most beautiful falls, along with Nachi Waterfall in Wakayama Prefecture and Fukuroda Waterfall in Ibaraki Prefecture Shinjuku is a large ward, and the shopping referred to here is focused on the Shinjuku Station area. Shinjuku can be divided into three: West, South, and East of Shinjuku Station. Breakfast at the hotel. Today proceed for full day tour of Kamakura Island. The Great Buddha of Kamakura is a bronze statue of Amida Buddha, which stands on the grounds of Kotokuin Temple. With a height of 13.35 meters, it is the second tallest bronze Buddha statue in Japan. Lunch at local Indian Restaurant. Akihabara – It is famous for its many electronics shops. They offer everything from the newest computers, cameras, televisions, mobile phones, electronics parts and home appliances to second-hand goods and electronic junk. Today after breakfast proceed for Full dayMt Fuji Hakone Tour. Mount Fuji -Mount Fuji is with 3776 meters Japan's highest mountain. Mount Fuji is one of Japan's Three Holy Mountains the nearly perfectly shaped volcano has been worshiped as a sacred mountain and experienced immense popularity throughout the centuries. Box lunch will be provided today. Lake Ashi Cruise - Ashinoko Lake, is a scenic lake in the Hakone area of Kanagawa Prefecture. Lake Ashinoko was formed in the caldera of Mount Hakone after the volcano's last eruption 3000 years ago. Today, the lake with Mount Fuji in the background is the symbol of Hakone. Gotemba Peace Park-The Peace Park in Gotemba City commands a beautiful view of Mt. Fuji and houses the chalky stupa. The park serves as one of the golden spots in sightseeing in Shizuoka Prefecture. 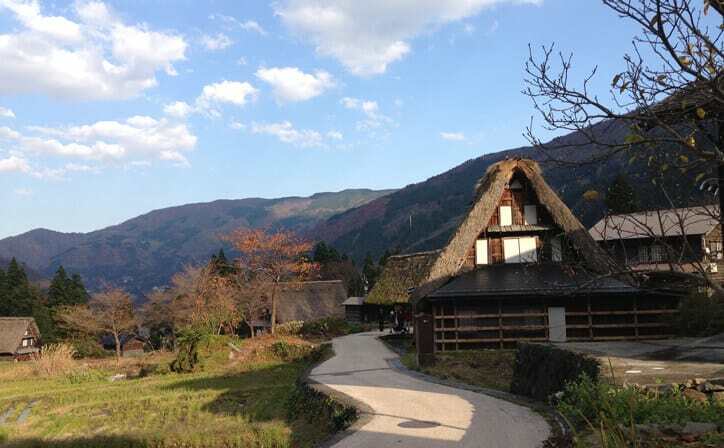 It is located on the mountainside of the outer rim of Hakone crater, commanding pleasant view of the city. Komagatake Ropeway - The Hakone Komagatake Ropeway leads from the shore of Lake Ashinoko to near the Komagatake peak of Mount Hakone. Panoramic views of Lake Ashinoko andMount Fuji can be enjoyed from the ropeway's upper station. Later transfer to Hakone. Breakfast at Hotel check - out from hotel & Proceed to Odawara Station Board Train to Nagano (change train at Tokyo). Arrive at Nagano station, board the bus to Shinano Omachi/Ogisawa Station. Arrive Ogizawa and explore the famous Alpine Route. Take Kanden Tunnel Trolley Bus, walk through Kurobe Dam. Take the Kurobe Cable Car to Murodo. After Lunch proceed to Bijo Daira by bus. Take the train from Tateyama to Toyama. Check - in to Hotel in Toyama. Breakfast at the Hotel & Check out & proceed to Toyama Station. Board the train Kyoto (change train at Kanazawa). Arrive at Kyoto Station, proceed to Hotel for Check in. Breakfast at Hotel. After Breakfast check out & proceed for Osaka City Tour. Proceed to Floating Garden Observatory From Osaka Station. Floating Garden Observatory, Umeda District - The open-air observatory overlooks the city of Osaka, Awaji Island and Mt. Ikoma. Enjoy panoramic views from 170m above the city. Lunch - Enjoy at Hotel Granvia (Western-style meal). Take the train from Higashi-Umeda Station to Temmabashi Station Osaka Castle (60 min) & Aqua Liner (60 min). Depart from Osakajokoen Station and board the train to Osaka Station. Check in at hotel in Osaka. After Breakfast at hotel, 10:00 Check out & board SIC transfer to Kansai (KIX) airport for International Flight. Japan delights its visitors with artistic originality and effortless elegance. Rich illustrations set a veridical scene, before interwoven narratives take on surrealistic tones. It’s all encased in a vibrant cover, compelling each visitor to turn the pages and explore Japan’s sublime mix of ancient tradition and the ultra modern. Tokyo, Japan’s busy capital, mixes the ultramodern and the traditional, from neon-lit skyscrapers to historic temples. The opulent Meiji Shinto Shrine is known for its towering gate and surrounding woods. The Imperial Palace sits amid large public gardens. The city's many museums offer exhibits ranging from classical art (in the Tokyo National Museum) to a reconstructed kabuki theater (in the Edo-Tokyo Museum). 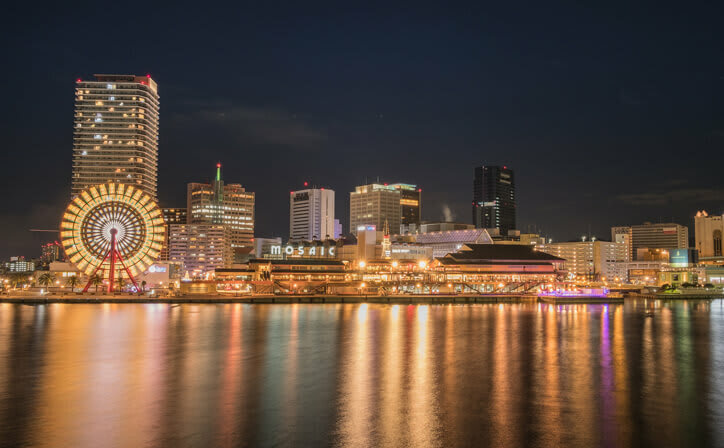 Toyama is a coastal city on Japan’s main island, Honshu. In the center, Toyama Castle Park has a restored castle dating to the 1500s, plus small museums of history and art. The nearby Toyama Glass Art Museum displays striking contemporary works. Rakusui-tei is an art museum in a traditional home with a formal garden. On the Fugan Canal, Kansui Park has views of the distant Tateyama mountains. Kyoto, once the capital of Japan, is a city on the island of Honshu. It's famous for its numerous classical Buddhist temples, as well as gardens, imperial palaces, Shinto shrines and traditional wooden houses. It’s also known for formal traditions such as kaiseki dining, consisting of multiple courses of precise dishes, and geisha, female entertainers often found in the Gion district. ○ 20% of total as Booking Fee, to initiate bookings. ○ The Standard check-in time at the hotels is 13:00 hours and the check-out time is 11:00 hours. ○ Anyone above 11 years of age will be considered as an adult. (Children below 4-years of age will be complimentary however there would be charges for extra bed, if requested). ○ We are not responsible for any baggage charges by any airlines for the clients. ○ Rates are not valid during trade fairs, exhibitions and special events. The surcharge will be levied in these cases. What is the best time to visit Japan? 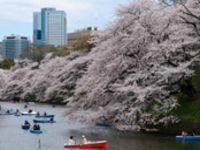 Late spring (March to May) and late autumn (September to November) are generally the best times to visit Japan, when there is little rainfall, skies are clear, and temperatures are mild.